In this episode, I'm joined by Noah Sanders. He is a Christian farmer, homesteader, author, and teacher with a passion to equip and encourage Christians in agriculture. He along with his family raise vegetables on their farm in central Alabama both for themselves and to sell locally in their community. Several years ago he wrote a book, "Born-Again Dirt, Farming to the Glory of God", and since then has had the opportunity to teach and share with others through on-farm classes and ... See More the Redeeming the Dirt Conferences. Having received training in Conservation Agriculture from Foundations for Farming in Zimbabwe, as well as discipleship training from Curtis Sergeant and MetaCamp. Subscribe at https://www.Vigilantwolf.com to stay up to date on what I'm up to, the podcast, and store sales, etc. 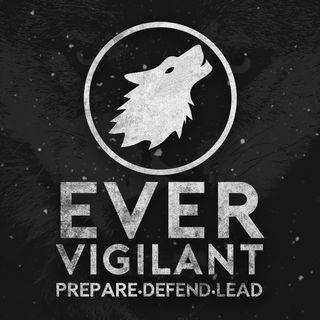 Visit https://www.Patreon.com/evervigilant and become a part of what we have going on here, Join The Pack! Use Patreon.com/evervigilant to engage, encourage and challenge one another in our daily battle to become better men, better husbands, better fathers, and better leaders. I wish I could articulate how this speaks deeply to my inner life and desire to reconnect with the land and honor the Lord with it. Even in suburban America, I know I can create a green space, garden, etc that honors God and provides for my family.